Madhya Pradesh (MP) GK Quiz No. 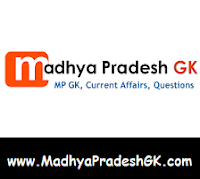 2 with Answers : Madhya Pradesh (MP) Samanya Gyan Quiz, Hindi GK Quiz Objective Questions with Answer for all competitive examination of MP State Government, MPPSC, MP Policem IBPS, SSC, BSF, Police Bharti, Teachers Exam, Admin services, State PSC, Bank, IBPS, CTET, MPTET and other examinations. This Madhya Pradesh (MP) GK Quiz or MK GK Sample Paper Question and Answers is based on MP SI Exam Paper 2012 held in previous years. Here is Sample Question Paper for all competitive examinations. Q.1 The author of the book Gulliver’s Travels is? Q.2 Rad soil is commonly found in the States of? Q.3 When did the Reserve Bank of India become a State-owned institution? Q.4 Who was the President of the Constituent Assembly which was constituted to frame the Constitution of India? Q.5 Which part of our Constitution primarily reflects Mahatma Gandhi’s principles? Q.6 Which of the following is a Fundamental Right as provided under Part III of the Constitution? Q.7 In case of conflict between the Central and State law on a subject in the Concurrent List? Q.8 Part IV A of the Constitution lays down the Fundamental Duties of the citizens Which of the following is not a duty included among Fundamental Duties? Q.9Taxes on income other than on agricultural income are? Q.10 A’ 5-point formula was proposed by India to define relations between sovereign State which was known as ‘Panchsheel’ formula India signed the first ‘Panchsheel Agreement’ in 1954 Which was the country with which this agreement was signed?